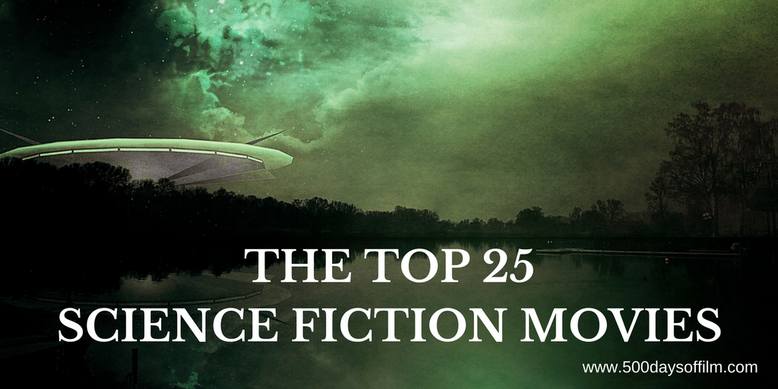 Science fiction is one of cinema’s most ambitious, creative and exciting genres. Boasting almost unlimited narrative and visual storytelling potential, it allows filmmakers to explore a broad range of, often, thought provoking themes. From the godmother of sci fi, Fritz Lang’s Metropolis, to Ridley Scott’s stunning Blade Runner, from Andrei Tarkovsky’s superb Solaris to Stanley Kubrick’s classic, 2001: A Space Odyssey, here are 25 of the very best science fiction movies (in no particular order). Synopsis: A psychologist is sent to a space station that is orbiting a planet called Solaris. His objective is to investigate the death of a doctor and assess the mental health of the remaining crew. In Andrei Tarkovsky’s classic film, there is something definitely odd on Solaris. Synopsis: Longing for the love of his mother, a robot boy sets out on an epic journey to discover where he truly belongs. AI was originally due to be directed by Stanley Kubrick. After his death, some Kubrick fans were nervous to see Steven Spielberg take the reigns. However, the director was loyal to Kubrick's vision - making a stunning and thought-provoking film with great heart. Synopsis: In Pixar's gorgeous animation, a lonely Waste Allocation Load Lifter Earth Class (Wall.E) robot falls in love and makes a surprising discovery that could save the planet. Synopsis: A spaceship travels to a distant planet to learn the fate of a group of scientists that were sent there decades earlier. Can they uncover the mystery of what happened on Altair V? Synopsis: I know that I have cheated here, but I had to include all three Planet Of The Apes films on my list. When a group of genetically evolved apes escape captivity, they, unwittingly, infect the human race with a deadly simian flu. This has to be one of the best sci fi trilogies of all time. Synopsis: In Nolan’s mind bending film, Dom Cobb (Leonardo DiCaprio) is a high level thief with the ability to enter people’s dreams and steal their secrets. His questionable talents have lost him almost everything. Desperate for redemption, he agrees to undertake a seemingly impossible task: to plant an idea in someone’s mind. Synopsis: Engineer, Dr. Ryan Stone (Sandra Bullock), is on her first space mission when, during a routine space walk, things go horribly wrong. Adrift in space, Stone has to find a way to survive the most brutal of environments. Visually and technically stunning, Gravity is a breathtaking film experience in more ways than one. Synopsis: The film that started the phenomenally successful franchise, Star Wars: A New Hope tells a deceptively simple story of good versus evil, love versus hate. It seems hard now to believe that, before its initial release, this movie was pretty much written off. Big mistake. Huge. Synopsis: Part biting satire, part highly entertaining sci fi adventure, District 9 tells the story of a race of aliens who, after landing on Earth, are forced to live in terrible slum-like camps. They find an unlikely ally in Sharlto Copley’s Wikus Van De Merwe - a former government employee who is on the run after being exposed to their biotechnology. Synopsis: While T2 is arguably the most entertaining of the pair, The Terminator remains a sci fi classic. Arnold Schwarzenegger is perfectly cast as the almost indestructible humanoid cyborg sent from the future to kill Sarah Connor (before she can give birth to a son who, in the future, will lead a war against machines). In T2, an altogether funnier and fluffier Arnie returns - this time to protect Sarah’s son from the special effects feat that is Robert Patrick’s T-1000. Synopsis: Science fiction is used to explore society's most troubling issues in Fritz Lang’s genre defining film. In this case, Lang explores class-based conflicts and themes of worker’s rights. Visually stunning and, as a result, hugely expensive to make, the movie suffered after being cut (against the director’s wishes) into what was considered a more appropriate running time. Thankfully, however, we can now watch the extended version. Synopsis: The wonderful and remarkable thing about Alien is how well Ridley Scott introduces his characters and tells his story. No easy feat as it turns out (looking at you Alien: Covernant). A commercial spaceship receives a transmission from a nearby moon. Believing it to be a distress call, they land on the moon to investigate. Things do not go well after one of their crew is attacked by a strange, face-hugging creature - putting them all on a collision course with a formidable alien being. Synopsis: James Cameron’s brilliant sequel, takes the haunted house in space concept of Ridley Scott’s original and turns it into a war film. 57 years after Ellen Ripley survived her Alien encounter, she is discovered and woken from hypersleep. So much has changed in the intervening years - but, terrifyingly, so much remains the same. Synopsis: Close Encounters feels as fresh now as it did back in 1977. Spielberg started working on this film before he made Jaws - influenced by the Watergate scandal and the idea of a potential UFO conspiracy. When trying to get his film made, many people questioned the movie's title. What is a close encounter of the third kind? Spielberg explained that a close encounter of the first kind is a UFO sighting, the second kind is the discovery of physical evidence. A close encounter of the third kind is contact. Spielberg wasn't happy with the final cut of Close Encounters - he felt pressured into releasing the film before it was ready. As a result, a few years later, he remade the film. We now have three versions of Close Encounters following the release of the director's cut. Synopsis: When 12 mysterious spacecraft touch down across the globe, an elite team of scientists and communication specialists, led by linguist Louise Banks (Amy Adams) and theoretical physicist Ian Donnelly (Jeremey Renner), are brought together to investigate. Arrival (based on the short story from Ted Chaing) is more than just a simple alien invasion flick. It is also a film about time, perspective, memory and loss. Stars: Clive Owen, Julianne Moore and Micheal Kane. Synopsis: Children Of Men may be a decade old, but it has certainly lost none of its impact. In fact, ten years since its release, director Alfonso Cuarón’s powerful tale of humanity, desperation and hope feels more relevant than ever before. Synopsis: A remake of Kurt Neumann’s 1958 film (based on a George Langelaan short story), David Cronenberg’s The Fly is a monster movie classic that plays on our fear of science gone mad. Seth Brundle (Jeff Goldblum) creates a teleportation device and decides to test it on himself. However, a housefly becomes trapped in the machine with him - leading to a truly grotesque merger of man and insect. Synopsis: Featuring a superb performance from Sam Rockwell, Moon tells the story of a lonely astronaut at the end of his three-year shift at a lunar mine. He cannot wait to be reunited with this family. However, things are not all as they seem. Synopsis: Shot on a (relatively) tiny budget, Shane Carruth’s puzzle box of a film follows four entrepreneurial friends and an invention that could change the world. Synopsis: No one could ever accuse Christopher Nolan of being risk averse. Interstellar may be flawed but you can’t fault its vision or ambition. In an attempt to ensure the survival of mankind, Cooper (Matthew McConaughey) has to leave his family and attempt interstellar travel. Synopsis: A computer hacker learns the shocking truth about the reality of his world. Such is the power of this classic sci fi film (and the franchise it then spawned) that Oxford University scientists have been working on proving whether we are, in fact, all living in a computer simulation. The good news is… we are not. Or is that what the overlords want us to think? Synopsis: The crew at a research facility in Antarctica disturbs a mysterious alien being that can transform into any shape it touches. Paranoia reigns as the men try to find out who is still human. The Thing is one of my very favourite sci/fi horror movies and features the most wonderful physical effects. Synopsis: Inspired by his parent's divorce and the imaginary friends of his childhood, the concept of E.T. came into focus for Spielberg while he was making Close Encounters Of The Third Kind. What if one of those aliens stayed behind as an ambassador? The result is one of the best loved sci fi films ever made. Synopsis: Another film with many versions to choose from (I prefer The Final Cut), Ridley Scott’s Blade Runner is sci fi royalty. This visually stunning movie draws on film noir in its exploration of the humanity of humanoid robots (and what to do if they develop desires of their own). Rutger Hauer’s ‘tears in the rain’ speech forms one of the most powerful scenes in the sci fi genre. Synopsis: “The genius is not how much Stanley Kubrick does in 2001: A Space Odyssey, but in how little,” explains legendary film critic, Roger Ebert. “This is the work of an artist so sublimely confident that he doesn’t include a single shot simply to keep our attention… Rare among science fiction movies, 2001 is not concerned with thrilling us, but with inspiring our awe.” Music and visuals combine in this classic film - challenging us to consider our own humanity. What Is Your Favourite Sci Fi Film? What is your favourite science fiction film? What would you add to this list? Let me know by leaving me your recommendations in the comments section below or let’s talk sci fi over on Facebook or Twitter (@500DaysOfFilm)!